Purity Ring reinforce their pop charms by tightening their formula on their sophomore album, moving one step closer to pop perfection. When Canadian synthpop duo Purity Ring released their first album Shrines in 2012, the indie market was already crowded with similar ethereal pop artists that were building or just starting their careers, from Grimes, Chvrches, Io Echo, and Chairlift. Shrines, with its peculiar combination of trap beats, stuttering samples, melodic bells and synths provided by producer Corin Roddick, and singer Megan James’ gentle, gliding voice, still stood out among the crowded field, managing to peak at number two on the US Dance/Electronic Albums chart and even net the duo a spot on the shortlist for Canada’s 2013 Polaris Music Prize. Such critical and commercial acclaim for a debut, especially from an indie electronic group unaided by major label publicity, is a remarkable accomplishment, and if nothing else, it means the music is working. Purity Ring think so, too, which is why album number two, Another Eternity, plays it so close to the chest, embracing the same formula used on Shrines but tightened and embellished where possible. The closest Roddick and James might ever get to Top-40-radio-friendly pop is the cute and vibrant “Push Pull”, simply composed and far less abstract than most of the duo’s music. “Bodyache” is brighter sounding than anything on Purity Ring’s debut as well, even if its lyrics are typically bleak: “I lied, now I’m lying awake / I cry until my body ache”. “Repetition”, a more downtempo cut, is no less catchy or vital with its mobile song structure and melodic shifts, making it more immediately listenable than some of the slower pieces on Shrines. The somewhat cold, sample-heavy production that defined that debut is eliminated or obscured by a heavier EDM influence and more robust instrumental arrangements, resulting in a slightly more accessible and painterly pop sound. It could be said that Purity Ring merely approximated true pop on Shrines; on Another Eternity, they nail it on the head. A lot of it has to do with the slimmed-down compositions. If popular Shrines cuts like “Lofticries” and “Obedear” seemed to meander along nearly hook-less and without much dynamic variation, Purity Ring have made serious adjustments on Another Eternity, focusing on elegant arrangements and manicured song construction that accentuate the choruses and build to bigger emotional peaks and deeper valleys. Single “Begin Again” works on a familiar foundation of dark synth, deep bass and heavy hip-hop beats, but it’s built around a perfect structure: quiet verses lead into a thumping bridge and then a big, EDM-flavored hook. Even the album’s most transcendent tracks -- “Sea Castle”, for example -- indulge in catchy melodies and satisfying chord changes on the choruses, whereas the hooks on Shrines were more nuanced, often ingrained in the same repetitive instrumental as the verses. 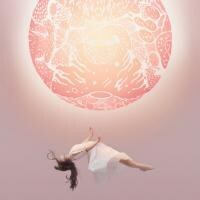 It works both ways, of course, but Purity Ring show a talent for elegant pop songwriting on this release. Yet, for everything they have enhanced, they still sound very much like themselves, and that’s a good thing. Purity Ring take no big gambles with Another Eternity, no ambitious stylistic shifts or outrageous experiments, no extraneous embellishments for music that works perfectly as it is, because it doesn’t need radical change. They’ve become keen editors, identifying their strengths and weaknesses and then accenting and diminishing as they see fit. That’s where their progression lies. Another Eternity is the best case scenario for fans of the first album, providing more of what James and Roddick excel at, but intensified and refined. It’s one step closer to pop perfection.